For thirty-one years, Marc Weingarten has lived the comedy life. With a range of experience unparalleled in the industry, Marc might be the only person with a resume that includes owning a comedy landmark, writing and talent coordinating a late night network television show, producing some of the biggest live comedy events in the country, headlining major venues as a comic, writing material for other comics, and co-founding what is arguably the most prominent comedy recording label in the country. And now, with the release of his first novel, Cape Comedy, it’s not a stretch to refer to him as one of America’s true comedy pioneers. At 26, Marc became the youngest comedy club owner in America when he and his partners bought the historic Ice House in Pasadena, California. During that time, Marc developed working relationships with some of America’s most prominent comedy stars, agents, producers and network executives. That lasted four years when he sold his interest in the club and joined legendary L.A. disc jockey Rick Dees, who asked Marc to develop and produce The Rick Dees Comedy Concerts. That association led to seven sold-out shows at such venues as the Universal Amphitheater, Pasadena Civic Auditorium, and Long Beach Terrace Theater. Such stars as Jay Leno, Howie Mandel, Brad Garrett, Ellen Degeneres, Bill Maher, Kevin Nealon, and Louie Anderson were featured in Marc’s productions. Marc went on to create the nationally reknown Sooper Bowl of Comedy, and has been a voting member of the GRAMMY’s since 1997 for producing the albums of George Lopez, Richard Jeni, Bobby Collins and Jeff Wayne. 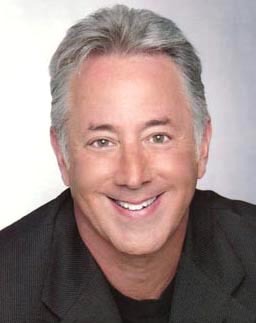 Other comedic credits include opening for Kenny Loggins, Michael McDonald, the Little River Band, and Count Basie and his Orchestra, regular appearances on NBC’s Wacky World of Sports, and staff writer and talent coordinator for ABC’s IntoThe Night starring Brad Garrett. Whether performing, writing, producing, or being on the cutting edge of discovering America’s next comic star, the dominant thread linking all these experiences is laughter.